Developing a quality digital learning program is a long-drawn process. You need to apply expertise across different domains and pass the course through the scrutiny of many different stakeholders, to create a good e-learning experience. However, the current scenario doesn’t allow the luxury of spending much time on digital training development. As new products and services come out more frequently, the cycle to update skills and knowledge is reduced. So how do you ensure that your e-learning development cycle remains as short as possible, without compromising on the quality of learning? Instead of overloading your in-house training team with the task of development, opt for outsourcing your digital training development process to an external vendor. 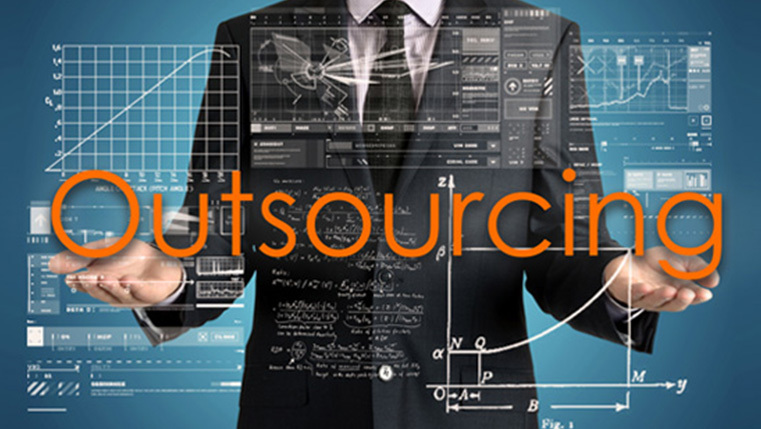 Outsourcing frees your in-house resources to take care of your core business needs, while giving you access to tried and tested e-learning expertise. This not only results in better learning but also makes the development process rapid and streamlined. Before you set out to create a digital training program, you need to carefully analyze your organizational needs and how e-learning courses fulfill them. This is best done in-house but if you feel an outside perspective will help you pinpoint the performance gaps better, then you could outsource your training need analysis. Many times, organizations end up losing sight of the big picture by getting too involved in the details and are unable to create clear-cut learning objectives. This is when outsourcing helps. This stage in the development phase essentially means breaking down the learning objectives into actual, realizable learning modules. At the same the time, you also need to define the instructional design strategies that you would like to use to convey the topics the best. Outsource the process if you have fixed instructional design standards and your team is highly stretched for time. You should also consider outsourcing it if you don’t have learning design capabilities but just have good subject matter expertise. Arguably, this process can prove to be very resource-intensive and take a toll on an inexperienced in-house development team. Consider outsourcing this process if you need access to a strong content team, with set review processes and enough scope for stakeholder involvement. If outsourced to the right e-learning vendor, you can retain control over your content, while ensuring swift content development. Creating multimedia elements can form a large chunk of your e-learning development process. Even though you want to carry out this activity in-house, you may not be able to do so as creating multimedia elements such as games, videos, animations, infographics, etc., requires knowledge of highly specific tools along with a healthy dash of creativity. That’s why you should outsource this section of e-learning development to a vendor who has experience in creating different types of innovative multimedia learning solutions. This way your e-learning course will never lose steam with your learners. A training program can be termed global only when it imparts similar knowledge and skills across employees from all geographies and cultures. This can only be feasible when you translate and localize your courses according to the different countries in which your business is based. Translating and localizing are big challenges, as you require deep knowledge about foreign languages, customs, and mindsets. That’s why instead of undertaking this task by yourself, you should outsource it to a vendor who has worked on the intended language before. Since vendors have extensive contacts for local language experts, your translation and localization stage can proceed very smoothly. Organizational training can be termed the founding pillar for employee excellence. That’s why you need to make sure to do it the right way. Get in touch with an experienced e-learning vendor who will make sure that you don’t go wrong anywhere.